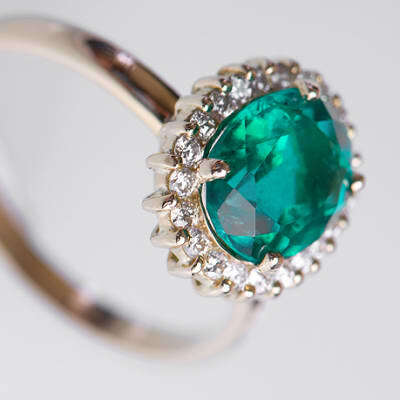 Choose from Zambezi Jewels elegant collection of gemstones and exquisitely carved jewellery. 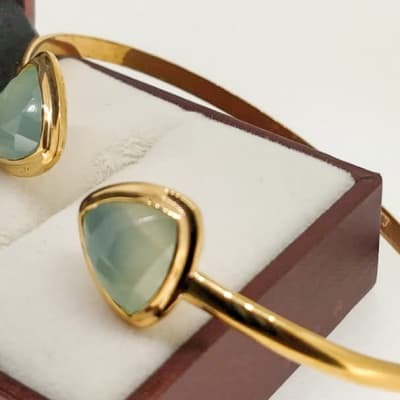 They use precious metal studdings with dazzling semi-precious and precious gemstones such as emerald, ruby, blue sapphire, diamond, multi tourmaline, quartz, citrine, amethyst, aquamarine tourmaline and garnet, all embedded in silver and gold. Wayawaya makes a wide selection of bespoke leather accessories including bucket bags, clutches, cross over bags, day bags, mini day bags, pouches, totes and wallets. Their collection is made up of 100% leather bags in all kinds of sizes and colours. Made up of carefully selected materials, chosen for quality and ethics, and sourced as close to home as possible, Wayawaya is the definition of fashion with a purpose. Buloz Fashion House has a wide range of styles including classic single-breasted business and designer suits for men, ultra-long skirt and pant suits for women, elegant formal work wear, custom made dress shirts as well as graduation and wedding gowns. Buloz Fashion House can also design matching outfits for the family for any occasion. This is an innovator and leader in the creation of world class jewellery in Zambia. With over 20 years of experience in the industry, the Jewel of Africa offers high quality handmade jewellery created by Zambian master jewellers. This exquisite work proudly competes on the international market. Madina Sales have a footwear department stocking a wide range of men's, women's and children's shoes at their shop in Lusaka. They offer great value for money and all designs are available in a good range of sizes. 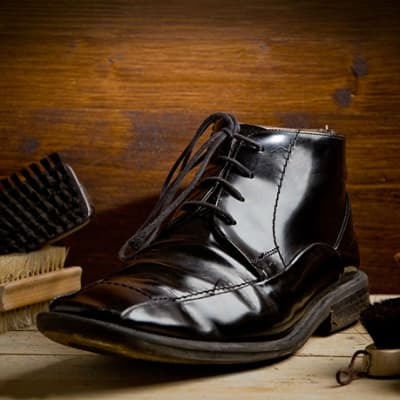 So whether you're looking for formal or informal footwear, it is worth checking here. Enjoy quality clothing made of cool cotton in traditional designs and colours - dresses, shirts, hats, bags, back packs, baby bibs and uniforms. Girls' dresses start from 6 months old. 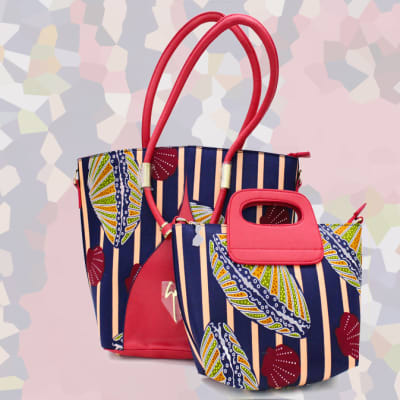 Inspired by the traditional cloth worn everyday, Polytex Investment designs and produces unique, and modern hand bag designs for people of all ages. Their product offerings include handbags, clutch purses, wallets and related accessories. This company prides itself on being able to create pieces that are stylish and exciting. Africa Blue Company combines traditional design with the latest trends to make stylish dresses and scarfs. Blending the finest materials, creativity, skilled craftsmanship and meticulous attention to detail, this company guarantees to meet the needs of clients who demand and expect the very best. Their focus is on excellence in product quality and timely execution. Yashika is a high-class fashion boutique that offers an extensive range of unique and high-end clothing as well as accessories for men and women. Yashika Fashion Boutique is committed to providing quality clothing at prices that will not break the bank. 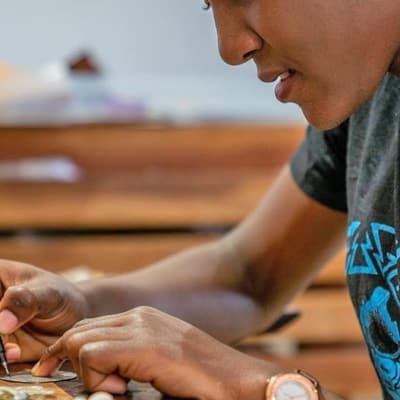 Mulberry Mongoose breathes life into locally sourced materials and turns them into handmade necklaces, earrings, bracelets, key rings and gift bags. This range is about celebrating local cultures, teaching technical skills, creating employment opportunities and protecting the animals of the South Luangwa Valley from poaching. With over $80,000 put back into local communities so far, buying one piece, a range for your shop or corporate gifts will continue this wonderful circle of life. 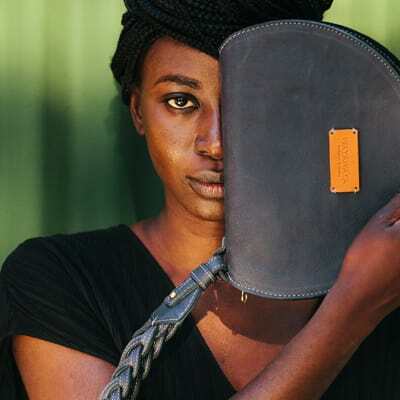 With a team of highly skilled artisans, Lightfoot Zambia is a manufacturer of leather bags for women and men. This company also has vast experience in making custom bags by customers' samples, photos, drawings or even ideas. Lightfoot offers you an unmatched blend of quality, consistency, responsiveness and innovation. Woolworths Zambia footwear provides superior style and comfort for men, women and kids from top brands. Choose from a wide collection of formal shoes, slippers, casual shoes and more. 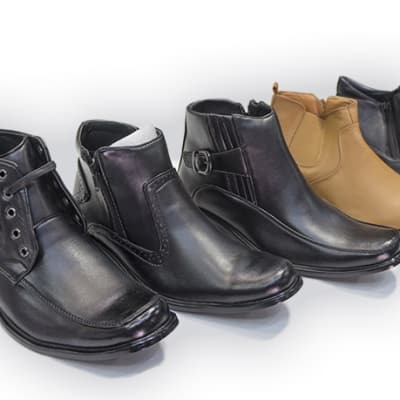 The company pride themselves in offering high quality footwear at affordable prices. Woolworths Zambia offers high quality and competitively priced clothing and accessories for men and women. Their broad spectrum of clothing includes trendy jeans, smart wear, activewear, lingerie, sleepwear and underwear. The store is staffed with dedicated retail specialists with a good feel for, and knowledge of, fashion. Yami's Collection offers a fully stocked women's fashion and clothing boutique. The store provides a variety of products from top designers such as dresses, tops, sweaters, jackets, skirts, shoes, handbags as well as a wide array of accessories. Yami's Collection focuses on providing the newest trends and unique fashion finds. Getting the right shoe size is an important part of proper foot health. 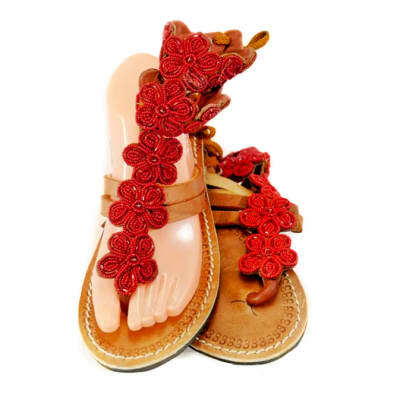 Bonsai Collection delivers a wide range of comfortable shoes; boots, sandals, high heels, slippers, smart shoes for children men and women. The store takes class to another level by stocking the latest shoes in fashion. 'Vala' is a nyanja word which means 'to wear'. If a particular size or pattern of fabric is not in stock, the very friendly stuff can take your measurements and place an order with the designer and your order will be ready in two weeks. Vala is in the form of a very funky local design house, it is an experience to be enjoyed. All the outfits can be bought off the shelf and lay-bye is accepted. Fashion Latte's friendly approach has helped develop a good client base. The friendly shop assistants are always on hand to help customers select a product of their choice or make recommendations when required. 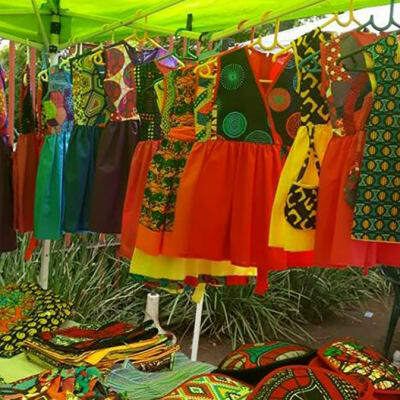 Ndanji Fashions is a stylish boutique for women and men's clothing, the store has the latest fashion trends that includes dresses, lingerie, men's shirts and suits. The clothing selection comprise of low and high budget fashion of high quality. The store is restocked regularly in short intervals bringing trendy shopping at your door. 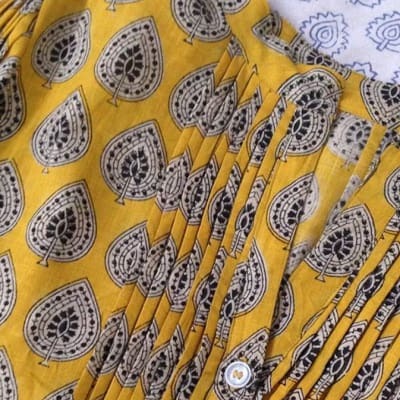 Specialising in both Afrocentric and Western tailor-made clothing. Fay Designs is a label that is committed to making quality outfits to the exact fit of each individual client, delivering superior quality finishing. To create popular looks, the design house regularly uses chitenge cloth, often combined with contrasting fabrics. EK Boutique brings an exclusive clothing range for men, women and children sourced from Italy, USA and UK. Friendly shop assistants are always on hand to help customers select a product of their choice or make recommendations when required. They are the home of celebrity-inspired fashion. The clothes are made from selected local fabrics and raw materials sourced from South Africa. The clothes are sold off-the-shelf but Coretta is also happy to custom design an outfit uniquely for a particular client. Clients are advised to give at least a months' notice in order to carry out fittings and purchase material. Brux Ltd is a formal, stylish and smart clothing and accessory store that caters specifically for the modern man. Brux has high standards, only supplying stock of superior quality. With the range of brands available at Brux, you can make a strong style statement! Brux Ltd has three outlets in Lusaka and one in Livingstone.